After multiple test rides on different motorcycles, I quickly came to the conclusion that (at least for me) bigger isn't necessarily better. I was frustrated after the first couple of test rides. My thought was "isn't there something about the same size as my bike with a little better performance engine?" In this case "performance" mostly meaning an engine that won't rattle the fillings out of my teeth when riding for more than a few minutes at highway (70mph) speeds. Then I did a test ride the Indian Scout. It's a little smaller than my m50 and a little lighter, but wow, what a difference in engine performance. The various reviews across the Internet - and especially the review from RevZilla - were spot on about this bike in my opinion. I really liked the bike. 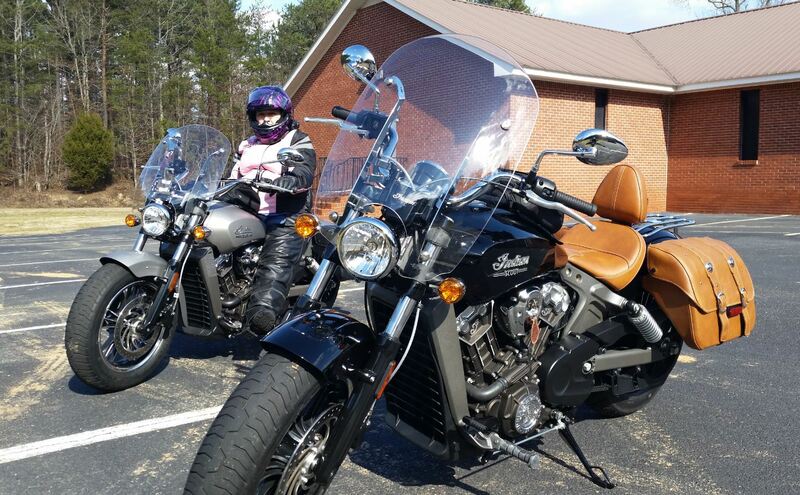 My wife came along on the test ride and test rode her own Indian Scout. She fell in love with this bike immediately. The Kuryakyn Crusher pipes on the demo bike probably had something to do with it as she is much more picky about pipes than I am . The test drive was hysterical. I forgot to turn on the helmet intercom until we were halfway through the test ride. When I turned it on, my wife was in the middle of a loud and gleeful "WoooOOoooOOO! holy ***! holy ****! holy ****! 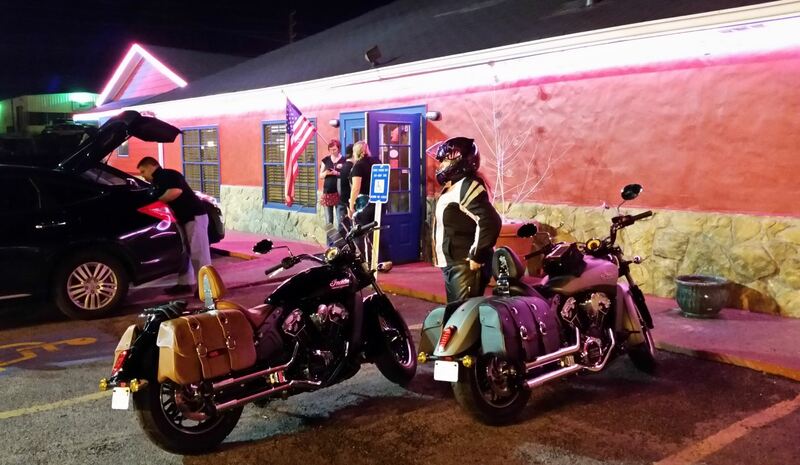 WoooOOooOOOo"
The end result - we both ended up with a 2016 Indian Scout. We both love it for different reasons. We've already had them out on the highway and into the mountains and they are much more suited to cruising at higher speeds for longer times than our previous bikes (s40 and M50) and so far we're happy about the purchase and proud new Indian owners. I went from a M50 to an Indian Springfield. At 6'3" 255, bigger was much more comfortable.